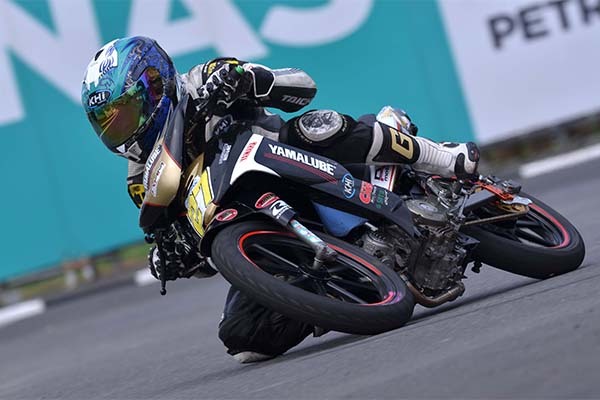 Mohd Iskandar Raduan insisted that his recent CP130 podium was not due to pure luck and he looks forward to repeat the same feat in the penultimate leg of the PETRONAS AAM Malaysian Cub Prix Championship at Jempol, Negeri Sembilan this weekend. After a lacklustre season that saw him retire twice, Iskandar returned to the podium in Kangar having worked his way from second row to overpower PETRONAS supported riders, Mohd Taufiq Roslan and Ahmad Afif Amran to take third place. 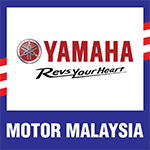 He was undoubtedly helped by Norizman Ismail’s early crash in the opening lap but Iskandar insisted that even without the commotion, he could have put up a strong fight against the frontrunners. “It would have been better if we won or finished second in Kangar but as a small team, third means a great deal,” said Iskandar. “People might say we got lucky but we put ourselves in that position in the first place. Yes we need some luck to succeed, but you should never rely solely on luck. Without the speed of the bike and the determination of the team, it would have been impossible to achieve good results,” he added. Iskandar is currently ranked 13th overall in the CP130 standings with 43 points while Mohd Zaqhwan Zaidi leads with 145 points.